From Madara’s fallen body emerges the godlike Kaguya Otsutsuki – a legendary being of incomprehensible power that dwarfs even the strongest shinobi! She banishes Naruto and Sasuke to an alternate dimension, from which they must find a way back or be lost forever. While they struggle, the origins of ninja are revealed – the first emergence of the Divine Tree and Kaguya’s arrival, the beginnings of Ninshu, and the ensuing rivalry between Hagoromo’s sons, Ashura and Indra! 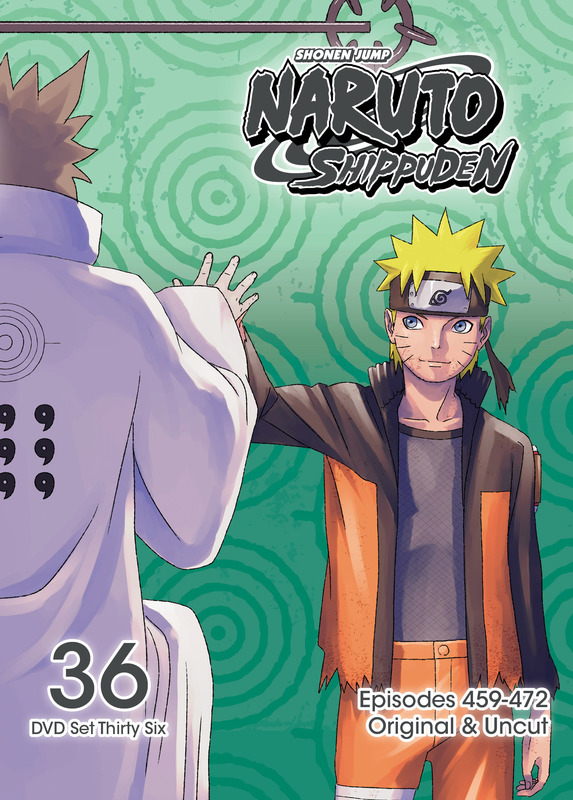 Naruto Shippuden Set 36 contains episodes 459-472. Special Features: Boruto Cast Interview, Storyboards, Clean Opening, Clean Endings, English Credits.